OCast figo, L. Ficus carica, Ar. tīn, teen Fr. figuer, Eng fig. Galen dubbed the fig and grapes as the lords of all fruits. As Romans imported the fig to Rome from Spain, it appears impossible the contention that during the reign of Abd ar-Rahman II, Fourth Ummayad Emir of Cordova, 822-852 the fig was introduced to Spain from Constantinople. 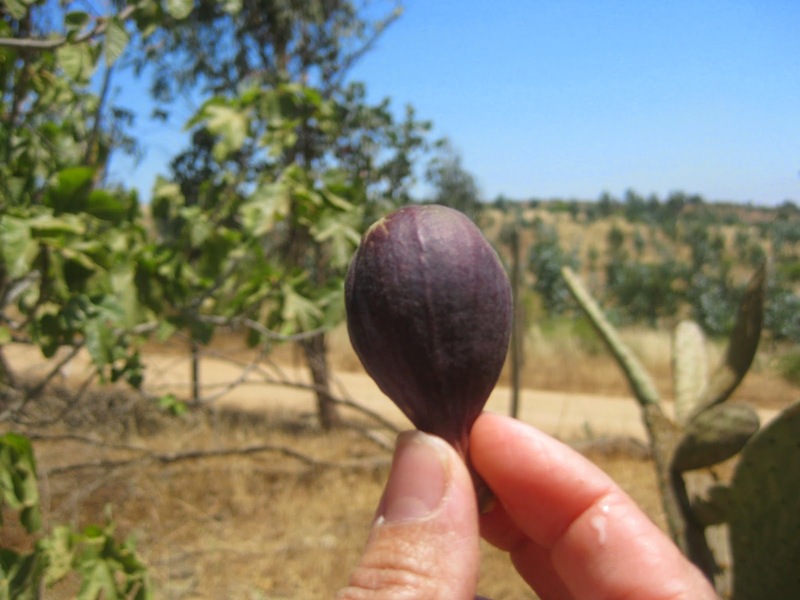 Of all the fruits produced in Al-Andulus, figs were the most common. 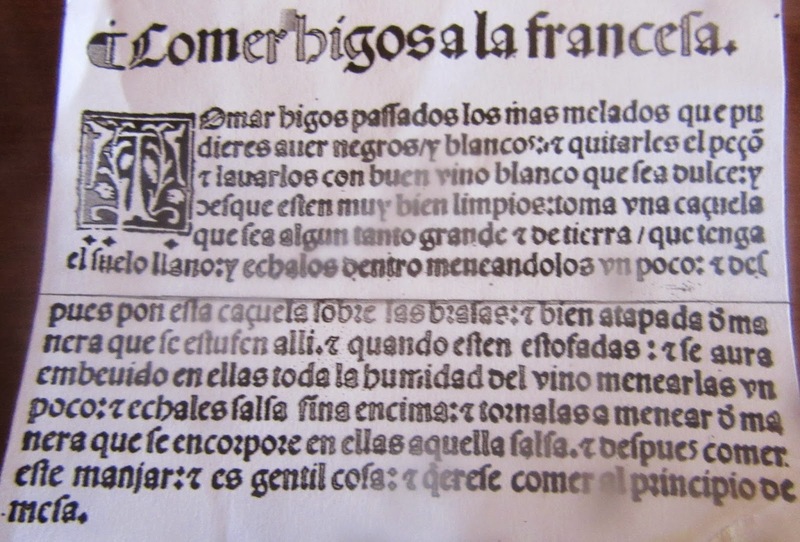 They became so famous that they were exported from Al-Andalus to the Orient. Perhaps the Emir exploited them and for good reason as the fig always has been a highly desired fruit in the Arab world which came to be synonymous with divination, love and fertility. Even today, it is contended that fig consumption increases the sperm and decreases infertility. of Hita points out that they were dessert for peasants. 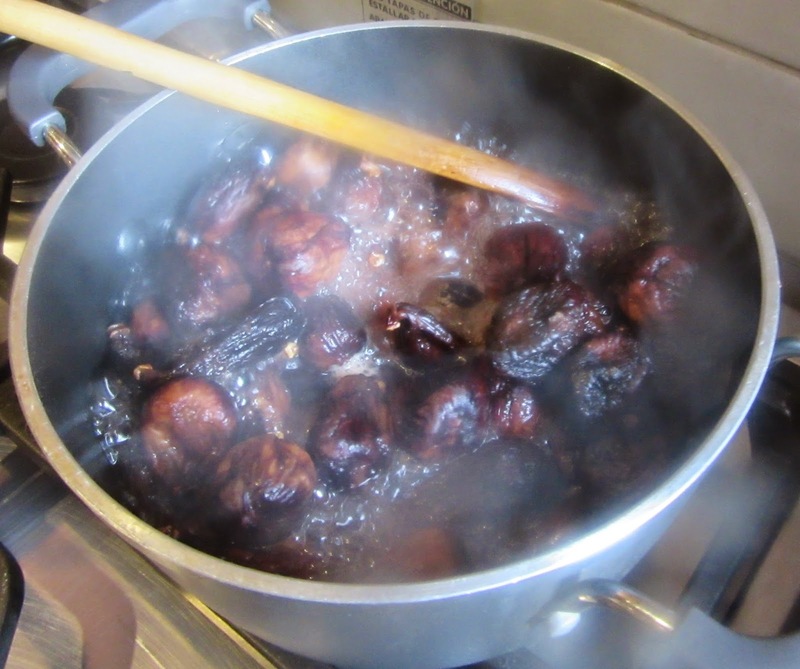 Nola provides a recipe for Fig Pottage, using black and white figs mixed with mutton broth. Another recipe of his including figs consists of fermenting layers of figs with roses. Avenzoar says their warmth and humidity mollify the stomach and have purifying properties. The best are mature for their sweetness and creamy substance; the worst. Villena instructs to remove the stem at the base from green figs. To release the juice, a piece is cut out at one end. If the skin is delicate, do not peel it. If using dried figs, he concludes, remove the stems and clean the fruit with a cloth. 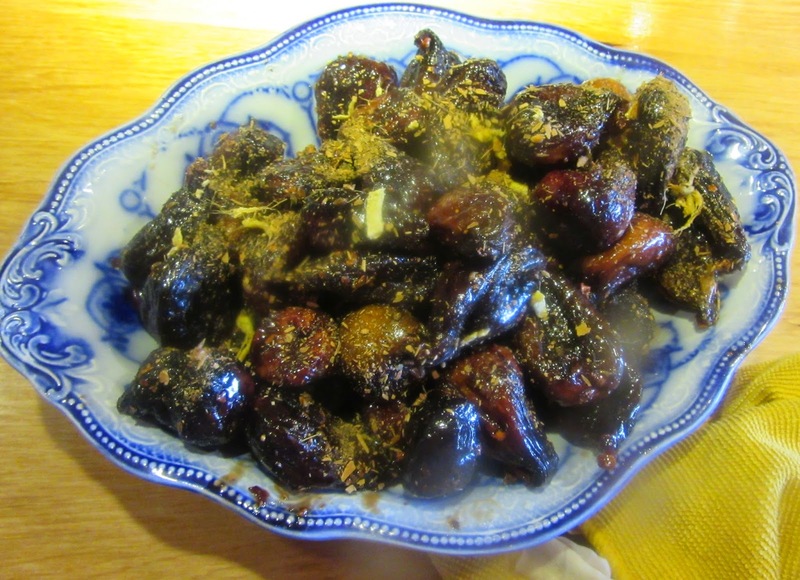 Avenzoar stated that dried figs were warmer then fresh figs. The dryness and the humidity were balanced but are inclined toward dryness. They alter the stomach less and mollify it less. They produce less gases then fresh figs. Dry figs are healthy and fattening. If eaten assiduously, they calm the nerves, the heart and above all have a tranquil effect but when residues substances are left in the organs, fleas appear, he concludes. He recommended putting fig branches in the bottom of pans and adding course meat. This tenderized the meat faster. He did recommend making meatballs once tenderized. Wash figs. Put them in a pot with wine. Bring to a boil and reduce heat. Gently boil until stewed and the wine is absorbed. Sprinkle half the spice spices on top and mix. Put the figs in a serving and sprinkle the remaining spices on top. The recipe instructs to serve this at the beginning of the meal. This is possible or it could be good as an accompaniment to pork. See blog titled arullar published November 25, 2011 for Nola’s recipe for figs with rose pedals.